But Poppy Carmichael's spirits aren't lifted by the pretty West Country spring. Inheriting her grandmother's flower shop has forced her to return to Cornwall, a place that holds too many memories. The pretty little town has a few surprises in store for Poppy. 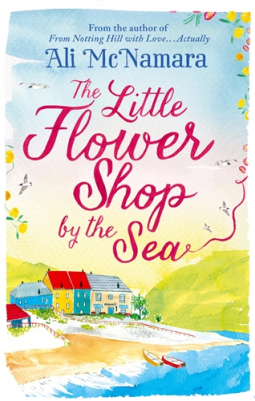 With new friends to help her and romance blooming, it's time for Poppy to open her heart to St Felix and to the special magic of a little flower shop by the sea! If you have been round here a while you should know how i love a seaside cafe/shop/restaurant books& this title just screamed me. Even more so after i loved Ella Griffins The Flower Arrangement.We meet Poppy as a child spending her time at St felix, with Stan listening to his stories, fast forward a few years and Poppy is now grown, and not going anywhere near St Felix until her Grandmother leaves her flower shop to when she passes, slight problem - Poppy doesnt have the family love for flowers. Heading down to St felix just to see what is what, Poppy finds herself meeting the locals, and finding out that this shop holds a special place in not only the town but peoples hearts and this alone prevents Poppy from selling up shop, but what does she know about flowers? Can she handle it? With help from the locals, and a bit of scheming too..we are about to find out. The Little Flower Shop By The Sea is what is says on the tin, but its more than that - its about a community, its about finding love, sharing love, and facing your fears with your friends by your side. The narrative is wonderful and i did fear i wouldnt warm to Poppy, but i did, and i just wanted her to be happy. The locals are unlike any i have come across, a law unto their own, but so protective. Throw in a few dishy men, and a wonderful dog then you will be laughing out loud, and sobbing uncontrollably (maybe that was just me then?) This was really a perfect beach read, you just feel yourself inhaling the sea air, and eating fish and chips on a miserable early evening. I live in Cambridgeshire with my husband, two teenage children, and our Labrador dogs. People often think being an author is a glamorous, exciting job, and indeed it is a small percentage of the time. When you’re launching a new book, or having your photo taken for a newspaper or magazine it’s very exciting. But the reality is most of your time is spent at a computer wearing comfy clothes; writing, editing or crying about how bad you think your work is that day! * I’m left handed when I write, but do everything else right-handed. * I’m Nosmic – I have a very weak, usually non-existent sense of smell. I lost it when I was a child after I had my tonsils out. * I have rather a large collection of Buddhas. 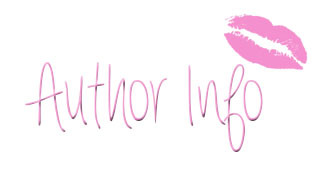 * I believe in Angels, spirit guides and reincarnation….